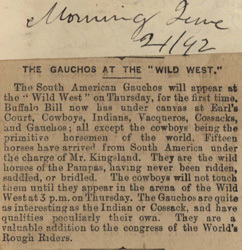 Title: The Gauchos at the "Wild West"
THE GAUCHOS AT THE "WILD WEST." 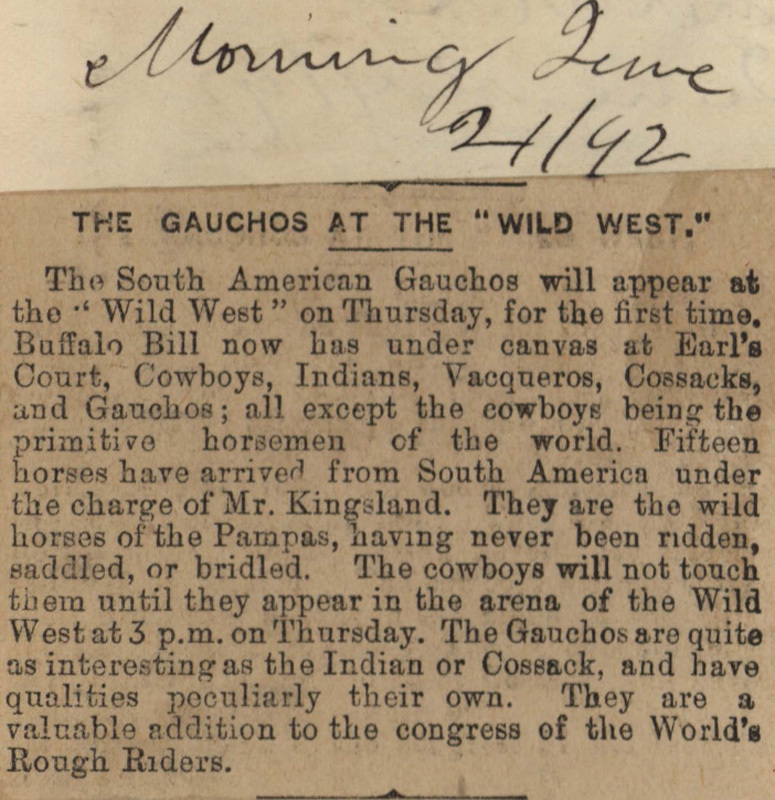 The South American Gauchos will appear at the "Wild West" on Thursday, for the first time. Buffalo Bill now has under canvas at Earl's Court, Cowboys, Indians, Vacqueros, Cossacks, and Gauchos; all except the cowboys being the primitive horsemen of the world. Fifteen horses have arrived from South America under the charge of Mr. Kingsland. They are the wild horses of the Pampas, having never been ridden, saddled, or bridled. The cowboys will not touch them until they appear in the arena of the Wild West at 3 p.m. on Thursday. The Gauchos are quite as interesting as the Indian or Cossack, and have qualities peculiarly their own. They are a valuable addition to the congress of the World's Rough Riders.